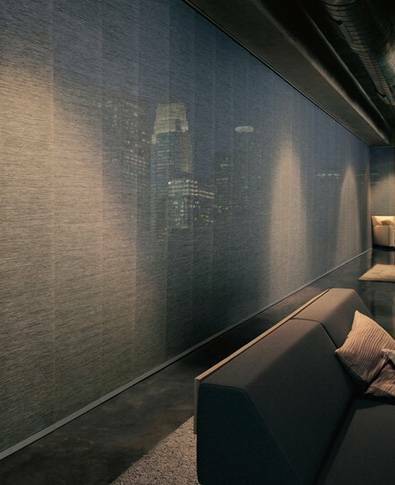 Enhance your décor with the sleek Skyline® Gliding Window Panels. Designed to offer maximum view-through as well as privacy these modern window panels are perfect for large window expanses. 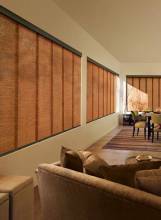 The sliding panels can be used on smaller windows and also as a stylish room divider for large rooms or for enhanced privacy needs. 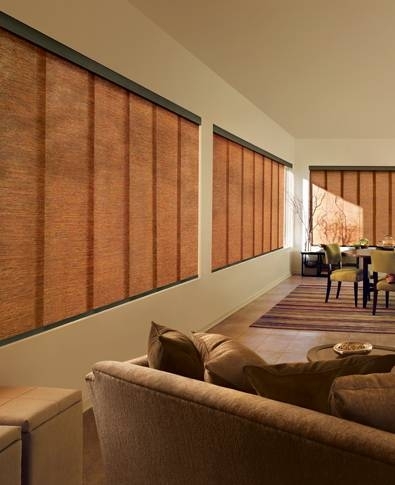 Modern window fashions that glide smoothly on the head rail, with varying control options for seamless operations make the shades simple yet elegant. 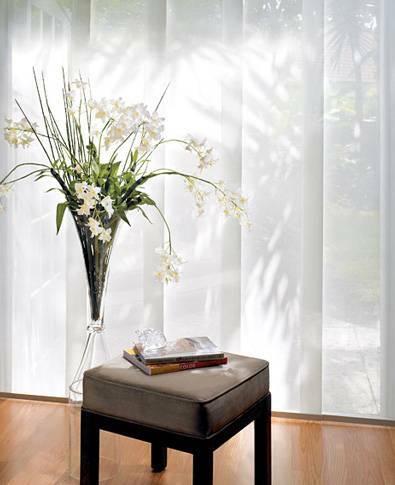 Different panel widths: Choose from two different panel widths – 11½”-17” according to your window size. The smaller width provides a soft layered look to your décor while the wider one provides a sleek elegance. 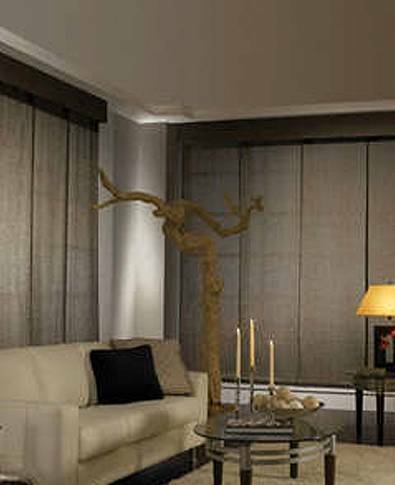 The Skyline® Gliding Window Panels coordinate with the Designer Screen Shades and Designer Roller Shades to create sophisticated interiors. PowerGlide with Platinum Technology: Control the panels with the touch of a button with the PowerGlide with Platinum Technology for smooth operations. Wand Operation: Glide the panels closed or shut with a single wand control. Slide them for left or right openings, and use the dual wand control for centre openings.